Hello, Fiorin, glad to see you here. I like your city, to be honest, I have been regularrl checking if something new is out. Keep doing your job, IMO it's truly worthy waiting. All of the graphics, apart from the Hermitess, would need some work. Though they look professionally made, they don't fit the Heroes 3 style. I am sure 3D models could be rendered with proper colors, lightning and sharpness, but the heroes' portraits would need a complete rework, maybe even from scratch. I understand your concerns about the graphical details. Im gonna redo all the portraits on future. 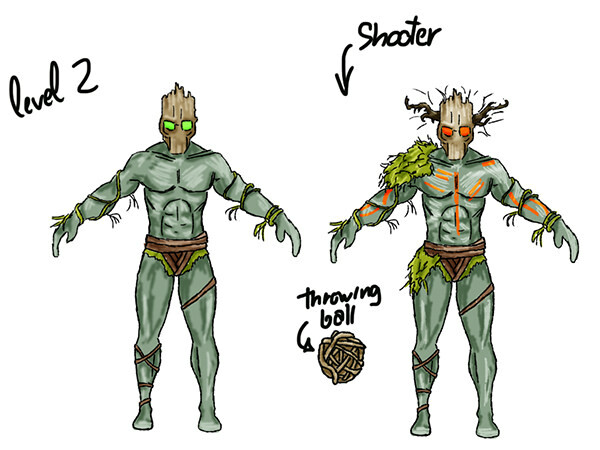 About Creatures, after 1.0 release, planning rework all animations and render lights to make a better impression. I have not a musician, but i like very much the soundtrack choosen. If you have a chance, take a minute to hear. Thanks guys for the feedback. Im working a lot on the improvements. Keep doin' it, looks great! any support for ERA II? 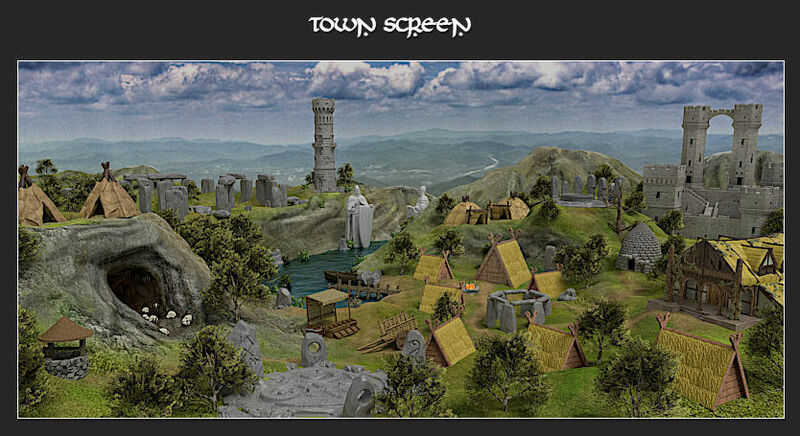 Woah, it looks great, but this town screen looks like it's made from plasticine? I mean it presents amazing, however it isn't Heroes III Style. Nice job mate, but I have a question, what is the general theme of the town? 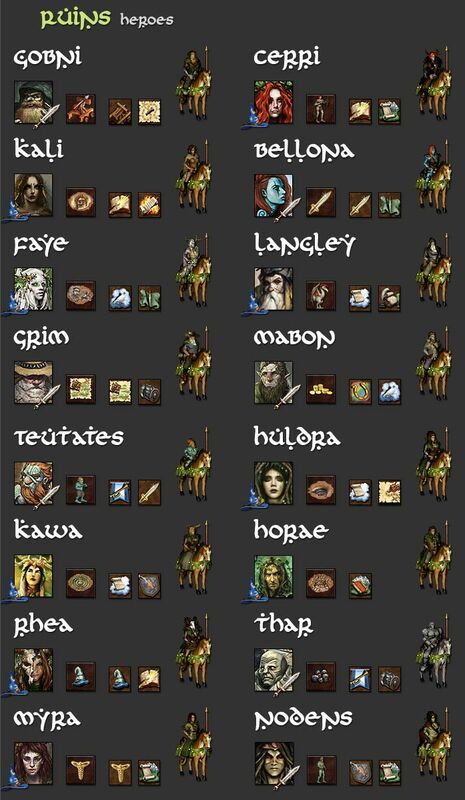 I see some Celtic influences in the town screen, but what about the units? I mean, that's not a bad thing, Tower lineup also is a potpourri of many different mythological creatures, but Heroes factions generally are more or less based on one theme or Idea. And your idea is? Long days im away from the topic, but bringing news. 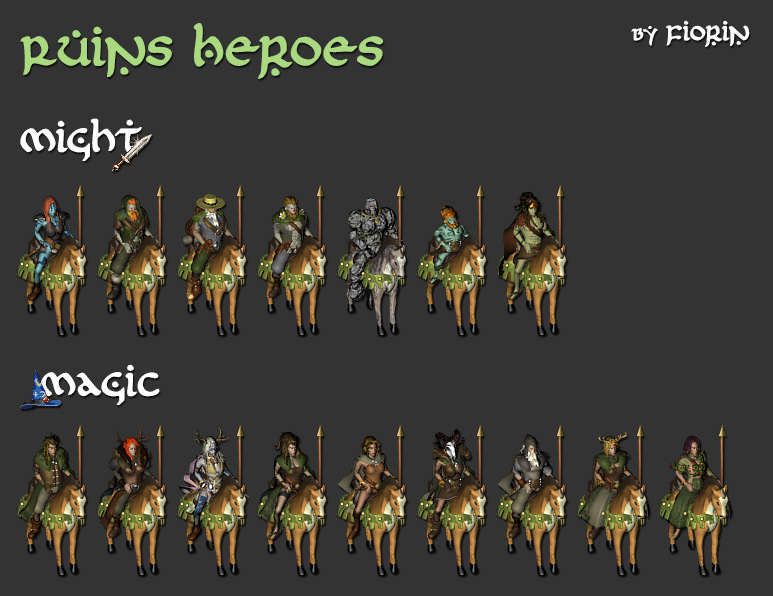 Last weeks i've been working on Hero Battle sprites. 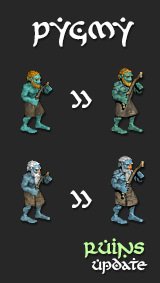 I submited for vcmi code a feature allowing each hero has a unique sprite and is working... so Gonna show my idea with 2 spoilers. Im polishing the portraits and doin the .defs for each from the 16 heroes. This mod is very cool looking now, keep up good work. 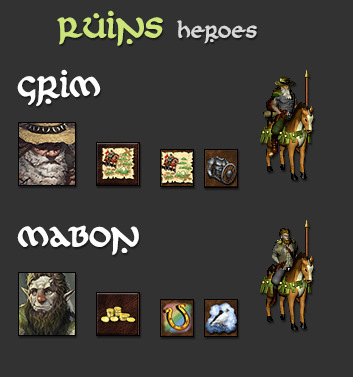 I proudly show you guys the Ruins Heroes! At the beginning I wanted to say that the new city is a good job Fiorin, one of the 4 best new ones. It tests them from version 1 and you can see progress, but there are some technical failures and some lack of ideas for the ability of some units. The horde building was set for lvl 1. - in the file "faction" should be 0 instead of 1 [because 1 is already 2 lvl]. - 1 lvl statistic unit "horda" change 6 out of 9, otherwise I give +6 even though it is written 9. - an improved price change for e.g. 630 gold [like a spider in previous versions]. 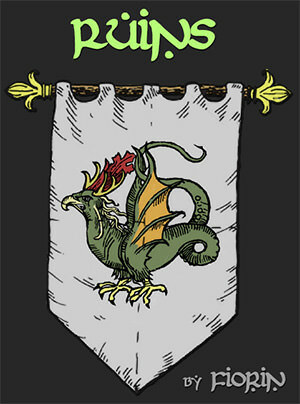 3 lvl, Cockatrice in many stories, and even through the translator himself, is depicted as Basilisk and has similar abilities, so he can also give him a stone, then 4 lvl strong infantry, 4 lvl medium shooter and 3 lvl flyer will have this lover but, for example, unimproved 5%, improved 10% only. - improved atk from 9 to 8, dmg from 6 to 5, and add ice bolt as ability [in the same way as Trunderbird's ligting bolts, but weaker]. - improved the same + something like quilting, eg frenzy for movement [I know it can not be done] or here it just charges as 2 ability. 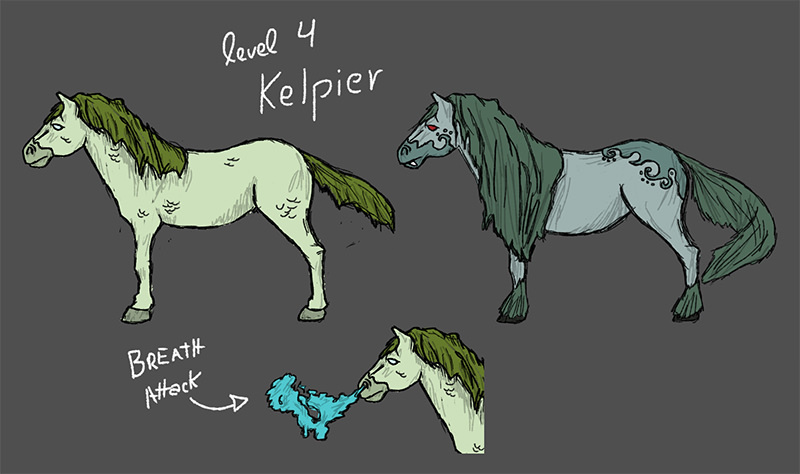 I suggest also to consider changing the places of units, namely 5 lvl Sorceress per 4, Perytony on 5, and "horses" on 6 [like Unicorns and others of this type], because they fit both reading about these units from stories, and visually the models are like this done Kelpie looks more massively than Peryton]. 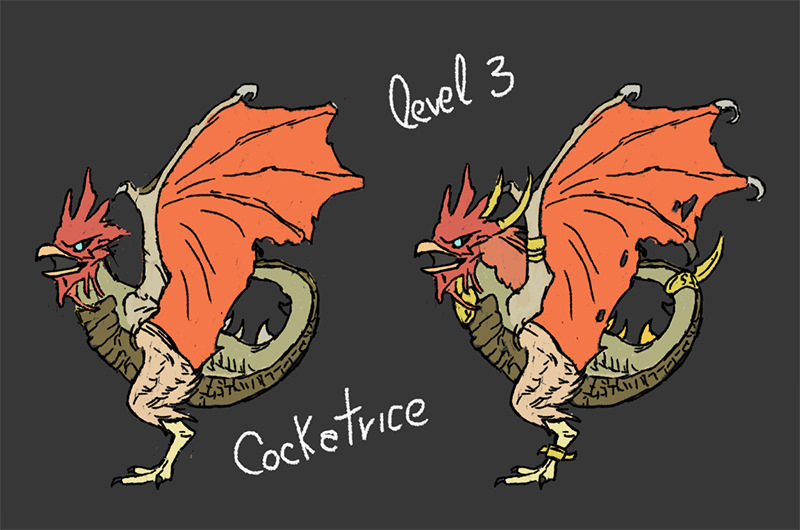 - Cockatrice has a "rash"
- Kelpie and Peryton have animation frames in which they "pump" not naturally, which was not in previous models, but on plus 1 level and 7 lvl after changes. At the end of screaming video from the game after these changes [only Cockatrice is unmapped death stare] in action. Really thanks for your input and feedback. Cockatrice has now 'stonegaze' with 5% and 10%. 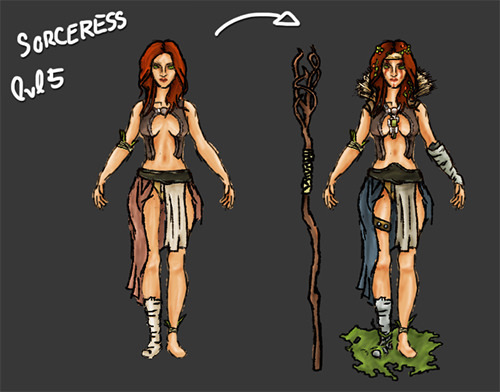 Witch has 'mirror magic and shooter'.. upgraded one has cast 'curse'. Peryton have added 'return after strike' and upgraded has 'jousting' too. 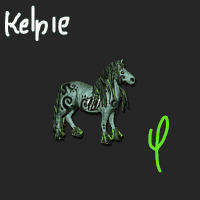 Added as kelpie passive on attack 'slow' lvl3 with 50% chance. Im gonna rework all attributes looking on another castles, but i return for new inputs. Horde i dont knew about counting from array index, i thought was position. Fixed. Im working on some improves on town look and finishing heroes map custom sprites. Battle already finished. 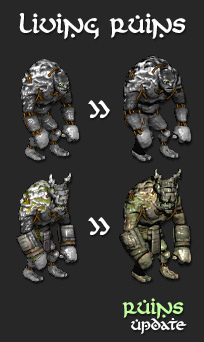 About creatures sprites, today i re-rendered stalker/tracker to fix some color and size troubles. Gonna make the rash on cockatrice smoothier too. About animations on peryton and kelpie. I tried make they more compact on hex. The animations with four legs, argh... too dificult yet. Im thinking in remaking from scratch the Kelpie model. 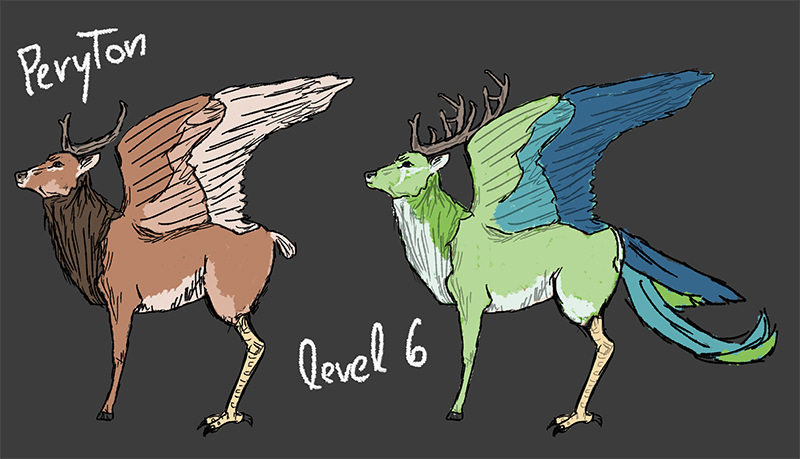 The peryton for now, i like. Well, it's good to hear that everything goes to a better one, especially that it is already climatic and interesting. Therefore, keep your fingers crossed for the next changes, especially since the unique heroes are a very original idea and of course I'm waiting for the next version, good luck. 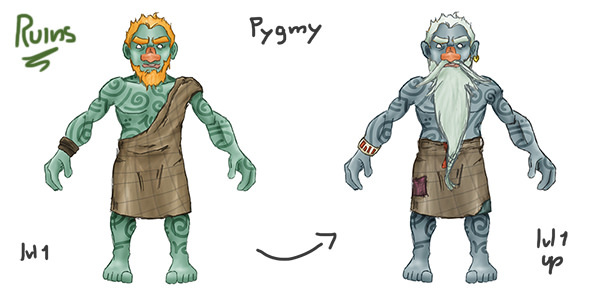 Very nice this model, but will the new design make you able to be undead or unchanged? Time ago i thought about that. Kelpie is a spirit, so maybe can say its a undead one, but the problem is all undead affects another creatures with morale -1. For me Kelpie is a non-living as a gargoyle. Immune to mind spells or control spells, and not affected by morale like undead. It just dont have the undead attribute. You know - currently kelpie looks like something rotten, drowned deep into lake. 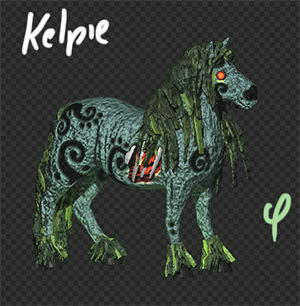 How about adding some blue-ish mist around lower part of body - it would deepen impression that kelpie is a natural spirit, not undead spirit.